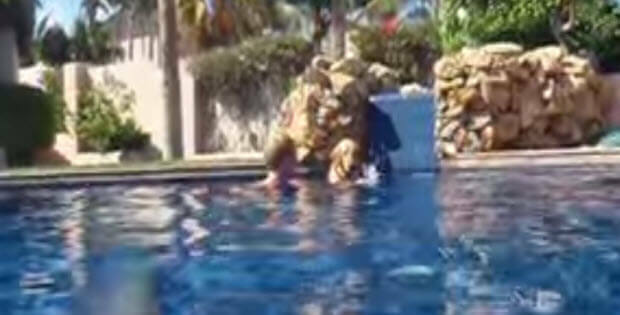 Have you ever seen a dog diving under the water and being able to swim the whole length of the pool ? Well…meet Captain. Captain is yellow lab dog that can swim under water. We are not sure if he was taught to do that or he is just natural at it, but he does it amazingly well and when you see it you will not believe that he actually can do that. 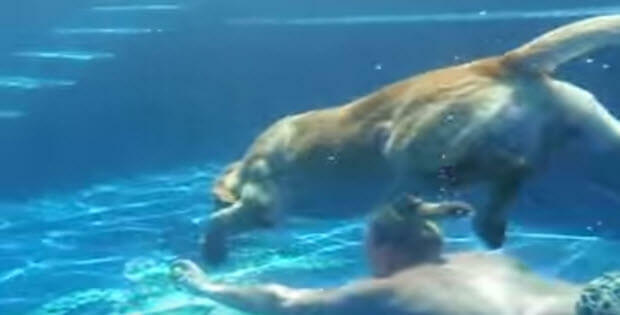 It is quite a treat to watch him dive and swim next to his owner under the water. And it is also extremely amuzing to watch him move his paws under the water. It is absolutely a must watch video..